Israel court rules that anti-Israel activists must pay Lorde's fans after she cancelled her concert in Israel. 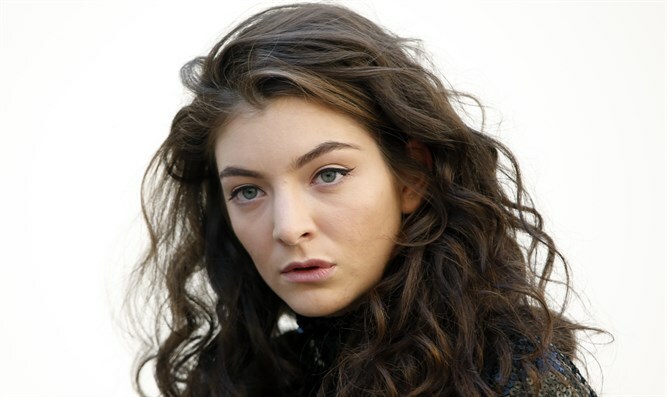 An Israeli ordered two BDS activists from New Zealand to pay fans of the pop singer Lorde for causing her to cancel her concert in Israel, Yediot Aharonot reported. In the decision, the Jerusalem Mastrigate's Court said that the two activists, Justine Sachs and Palestinian New Zealander Nadia Abu-Shanab, were directly responsible for Lorde's cancellation and ordered them to pay three fans 45,000 shekels, or $12,400. The duo had written an open letter to Lorde calling on her to cancel her scheduled tour in Israel last year, alleging that "playing in Tel Aviv will be seen as giving support to the policies of the Israeli government, even if you make no comment on the political situation." “Since 1967, Israel has militarily occupied Palestinian land in the West Bank, East Jerusalem, and the Gaza strip," continued the missive. "The occupation is considered an affront to international law and Israeli settlements in the area explicitly violate the Geneva Convention. The military occupation of Palestinian territories has resulted in an apartheid state." The lawsuit was brought by Shurat Hadin, a legal organization which works to fight terror and terror supporters, as well as those who transfer funds for the purpose of terror activities. Lorde had canceled her June summer concert in Tel Aviv back in December. The singer, 22, said that she had made the wrong call on booking a show in Tel Aviv. “I’ve received an overwhelming number of messages and letters and have had a lot of discussions with people holding many views, and I think the right decision at this time is to cancel the show,” she said.